This is the most user friendly moisture meter that Wile have produced. 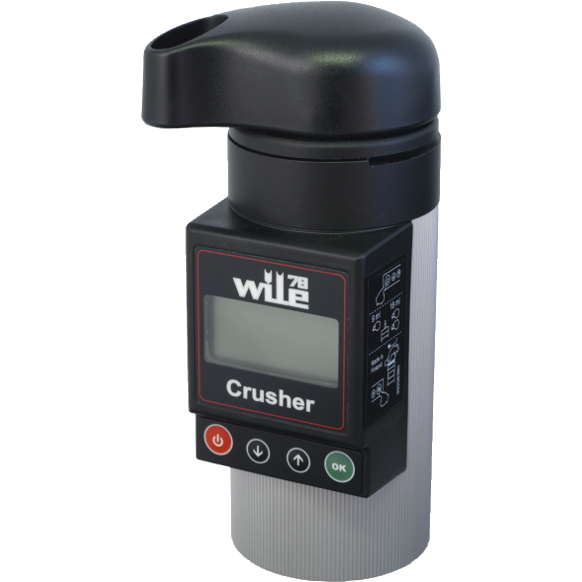 With a built in grinder this unit is ideal for those farmers & growers who like measuring with a ground sample. 21 different programmed crop types from Wheat Barley OSR etc to Clovers, Ryegrass, Meadow Fesque & Caraway. Ideal for pre-harvest sampling, combine & grain store.